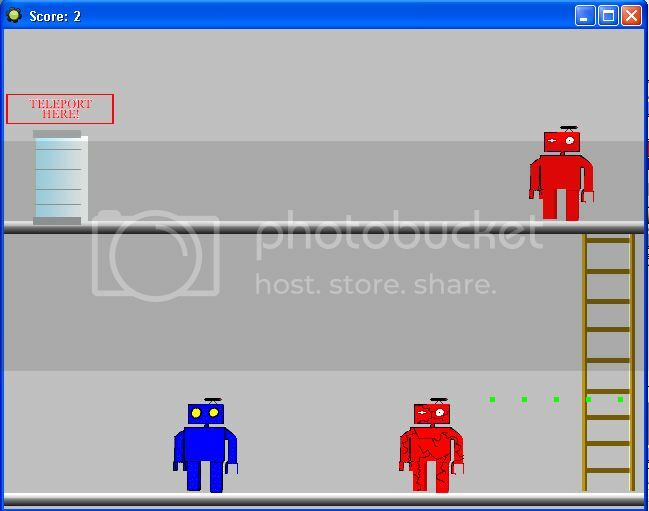 SoRs very own video game! 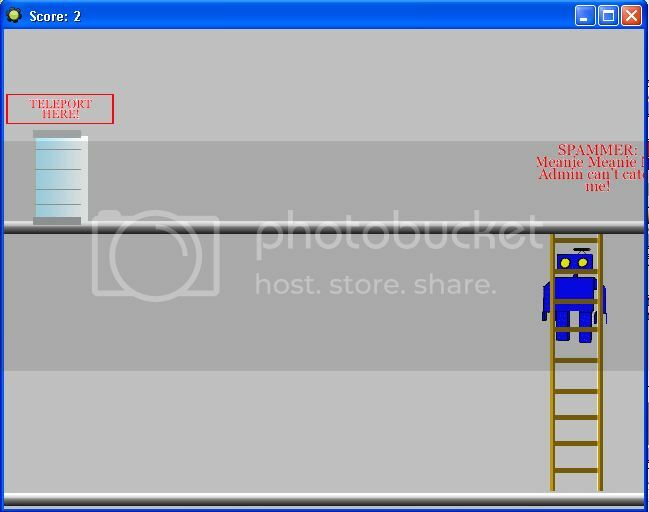 Created with the free "Game Maker 8" drag and drop game creation software, and using sprites from all over the SoR main-site, this interactive computer game puts you in the shoes of a Bluebot called "Admin". Fight Hackers and Spammers while collecting battery's and Axons to gain points and rise in rank. Ok i haven't gotten that far but it's still good for a hours work. well i just played it has potential but i can't say anything from now. Madsci, you'll probably have to run it in 32 bit Windows XP mode. If you have a problem with that, get backward compatible! Did you not think I would have tried that? It seems it's a 16bit program, there is no mode for running that on a 64 bit OS. And don't attempt to justify the issues as something the end user needs to fix. It's been well over a decade since the general computing platform has moved to 32bit, any software suite that has not recompiled for 32bit by now either no longer has developers or has no decent developers. There is no logical reason to hold back progress, or to further bog down modern OS with emulators to continue support because of these old programs. Over half of all Win 7 computers in the world are 64 bit. So you are writing a game that a very large portion of your audience can't enjoy. I've read somewhere that 32 bit compatibility mode with Vista/7 is not really compatible. It works on my computer fine(32bit), and it is 32bit. You might be able to help me port it, but you would have to download some things. What errors do you get, too? Historically, all Windows versions were backwards compatible with the previous bit environment. So 16 bit runs fine for your 32 bit OS, but not my 64 bit. I took some time and googled. It looks like Game maker is indeed 32 bit (I;m assuming), but has a long history not working with Windows 7. Care to find a fix for your audience? I don't think I'll be able to help, as I said I don't have a 64 bit computer, and since i use Game Maker lite I can't use/make plugins for 64bit machines. Interesting game, I guess you are still working out the many bugs? Lol still I think its gonna get pretty good so don't give up!! You should make it in flash! In Version 0.3 I'll fix the numerous bugs. I'll try to change moving to I K J L.
Firing will still be A & D.
Why not use the more common wasd for movement and maybe shift/enter/mouse click to fire? Use 4 and 6 on the keypad with numlock to move! Splash screen spelling error! (it's computer, not computor). Apart from that. I get a 'bot and two whatever (bacon slices with a bit of string?) that I can take, I can shoot left and right with A and D, T doesn't do anything and when the bacon is gone I can move back and forth and outside the screen, but that's it - gets boring in about 0.3s as is. wasd would be nice, I couldn't get it to move on my laptop keyboard. I dont want to post a thread about it and i think that topic is a little bit like my idea why dont someone made a SoR iPhone/itouch/ipad app?it could be very nice. I'll ask the guys at Yoyo games if they can port things to iPad. What about Android? It has been outselling iphone for the past 6 months. Why no mention of an Android App? And i'm not even a Yoyo games developer! Anyone want to help port it to Mac? And no I have not abandoned this. I've been working on a completely new engine!